Deportation of Jews from the Warsaw ghetto during the uprising. 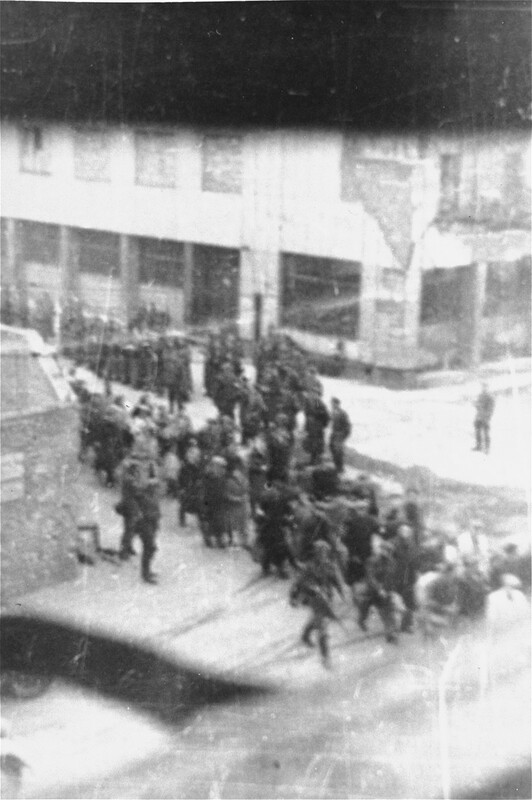 The photograph was taken from a building opposite the ghetto by a member of the resistance. It shows Jews who were captured by the SS during the suppression of the Warsaw ghetto uprising marching past the St. Zofia hospital, through the intersection of Nowolipie and Zelasna Streets, towards the Umschlagplatz for deportation. Warsaw, Poland, April 20, 1943.